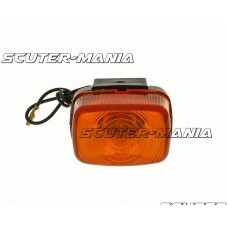 OEM front left indicator for Vespa GT, GTS, GTV. Genuine Piaggio replacement part. 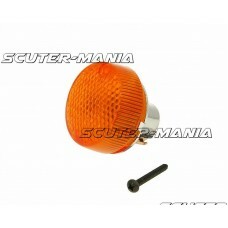 Suitable for veh..
OEM front right indicator for Vespa GT, GTS, GTV. Genuine Piaggio replacement part. Suitable for ve.. 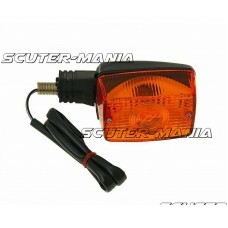 Complete replacement indicators FL / RR for various Derbi, Yamaha and MBK scooters and geared mopeds.. 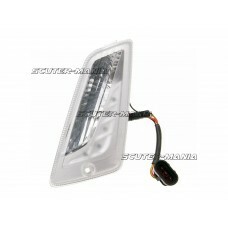 Complete replacement indicators FL / RR for MotorHispania RX 50R and RX 125R as well as Peugeot XR7 .. 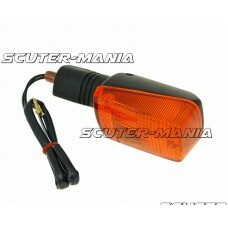 Complete replacement indicators FR / RL for various Rieju, Yamaha and MBK scooters and geared mopeds.. 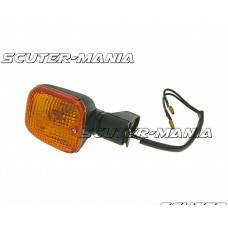 Complete replacement indicators FR / RL for MotorHispania RX 50R and RX 125R as well as Peugeot XR7 .. 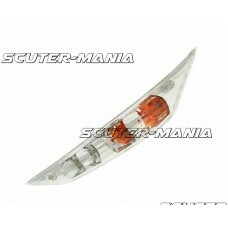 Replacement front or rear indicators for Yamaha BWs 50 (01-03), BWs Original 50 (97-03, EW Slider 50.. 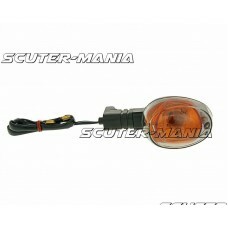 Complete replacement indicators for Aprilia RX and RS geared mopeds and motorcycles. The indicator c.. 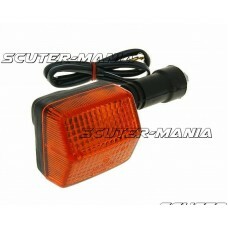 Replacement indicators for Honda Zoomer 50 from 2007 on. The turn signal corresponds to the original.. 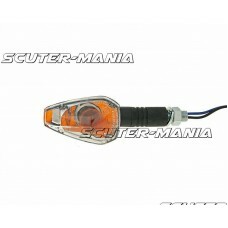 Replacement indicators for various scooters and motorcycles. Front or rear depending on vehicle. The.. 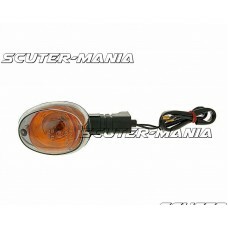 Replacement e-marked front left or right indicator assembly for Honda PX50 and SH75 Scoopy. Original.. 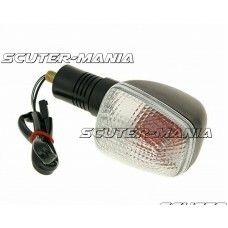 Replacement indicators / parking lights with tinted glass for indicators for Yamaha XC Cygnus R 125/.. 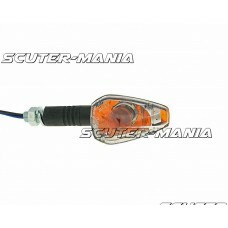 Replacement indicators with clear glass for MotorHispania carenada, various Suzuki motorcycles and s.. 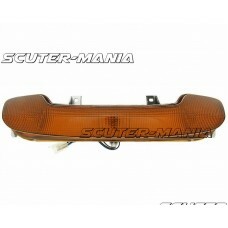 Replacement front indicators for originals on Benelli Pepe and Pepe LX as well as Malaguti F12 scoot.. 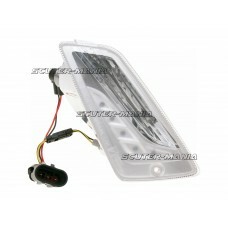 Replacement front left indicators for Piaggio Zip 50 2-stroke/ 4-stroke (00-10), Zip 50 SP (01-09) s..